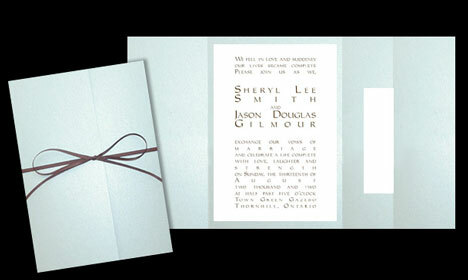 The do-it-yourself invitation options available in the Canadian market are becoming more sophisticated and flexible by the day. You can hardly tell them from "normal", custom invites any longer. 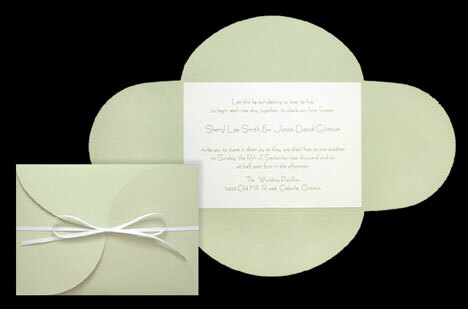 Check out some of the few folder and cardstock options available everywhere from MDC Designs' web store..
DIY and eco-chic collide with these pocket folder wedding invitations by MDC Designs. 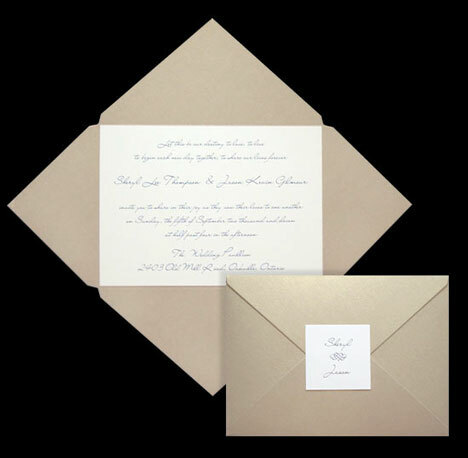 The mulberry folders are made from sustainable cardstock and come with recycled PCW paper. 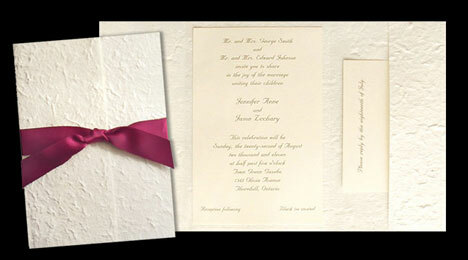 You get to select your own colour and closure style, from satin ribbon to your own personalized seals. 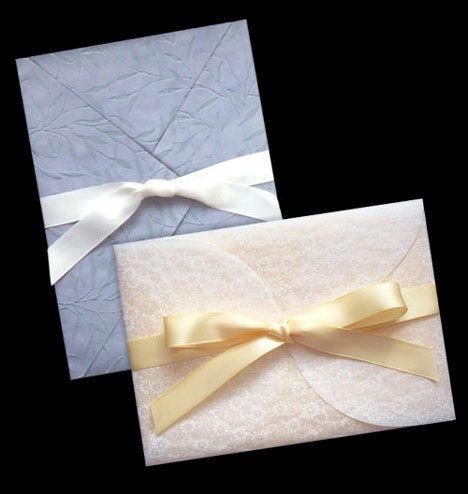 Currently (Jan 2010), pricing for mulberry pocket kits begin at $30.75 and include 10 pocket folders, 10 reply envelopes, 10 invitation envelopes, 11 invitation panels and 6 RSVP panels.